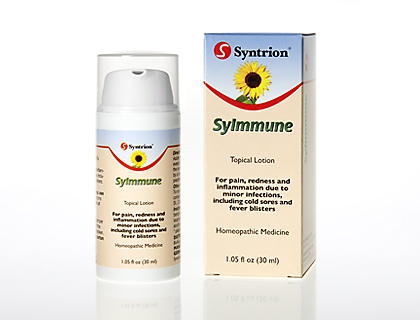 If your cat has chronic upper respiratory infections (URIs), this is a great product to try. It is easy to use---simply apply to your cat's ear tip or neck. It is especially helpful when the infections are due to feline viruses such as feline herpes or feline immunodeficiency virus (FIV). When a cat has a chronic virus, it can be very discouraging and owners may feel there is nothing they can do but let nature take its course. This is not the case. You can give your kitty a hypoallergenic, anti-inflammatory, grain-free diet and use supplements to help boost their immune function. If you are able to give your cat supplements and your cat has chronic infections such as upper respiratory infections, then we encourage you to use this product along with Notatum, Olive Leaf Extract and Power Probiotic. "We used SyImmune on our kitty Oliver along with the Immune Harmony, Argentyn drops and Power Probiotic. Oliver has chronic URIs due to feline herpes. I cannot believe how much this regimen helped him. Thank you Ask Ariel"
To learn more about how SyImmune can help your cat's immune system, please visit Ask Ariel Your Pet Nutritionist or click on the attached link to view immune boosting products for feline URIs and feline viruses.